The Albers Trio, brought to Providence by the San Antonio Music Chamber Music Society, performed for the middle school division and then toured the Najim Campus Center. Read about their experience at Providence by going to their blog. Of note, Eileen (Doyle) Lundin, Providence class of ’59 was their host. She is the Publicity Committee Chairman for the SA Music Chamber Society and enjoyed showing the trio her class picture while reminiscing about past Providence adventures. 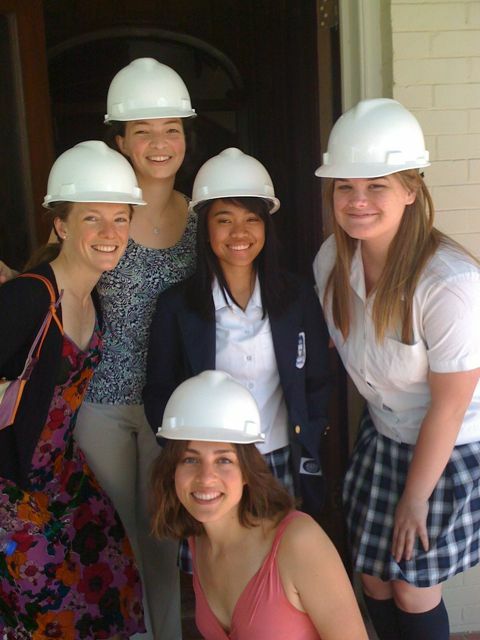 They enjoyed their visit to Providence and posted their thoughts on their website blog, as well as a great picture in hard hats which they got a kick out of. Check it out!